عندما تزور كيرنز, ستشعر أنك في بيتك في Mantra Amphora Hotel الذي يقدم لك إقامة متميزة و خدمات عظيمة. يسهل الوصول إلى هذا الفندق ذو 4.5 نجوم من المطار، فهو يبعد عنه مسافة 24 km فقط. بالنسبة لمن يريد الخروج، هذه بعض المعالم السياحية المتوفرة للزوار Cairns Night Zoo, Cairns Tropical Zoo, Double Island. إن Mantra Amphora Hotel حريص على توفير الراحة للنزلاء، فلا يوفر الموظفون جهداً في تقديم أفضل الخدمات وضمان حسن الاستقبال. يقدم هذا الفندق العديد من الخدمات الكفيلة بإرضاء أكثر الضيوف تطلباً. استمتع بوسائل الراحة الراقية في الغرف أثناء إقامتك هنا. بعض الغرف تتضمن تلفزيون بشاشة مسطحة, حمام إضافي, مرحاض إضافي, بياضات, مرآة لمساعدتك على استعادة طاقتك بعد يوم طويل. يقدم الفندق مجموعة واسعة من وسائل الراحة المتنوعة، كمثل: حمام سباحة خارجي, سبا, تدليك, مسبح (للأطفال), حديقة. مهما كانت دواعي سفرك فإن Mantra Amphora Hotel هو خيار ممتاز لإقامتك في كيرنز. ساعات عمل مكتب الاستقبال في هذا العقار من الساعة 07:00 صباحًا إلى الساعة 09:00 مساءً كل يوم. إذا وقعت ساعة تسجيل وصولك خارج هذه الأوقات، يرجى الاتصال بالعقار قبل الوصول بيومٍ واحد على الأقل. يتاح الاتصال بالإنترنت/الواي فاي مقابل رسم إضافي. يُرجى الاتصال بالعقار لمزيد من المعلومات. Unfortunately I had a bad experience here with booking a king bed and arriving to check in after hours to find 2 single beds which was really disappointing due to booking a king room, but looking forward to a night in a nice room with hubby at the end of a work trip. 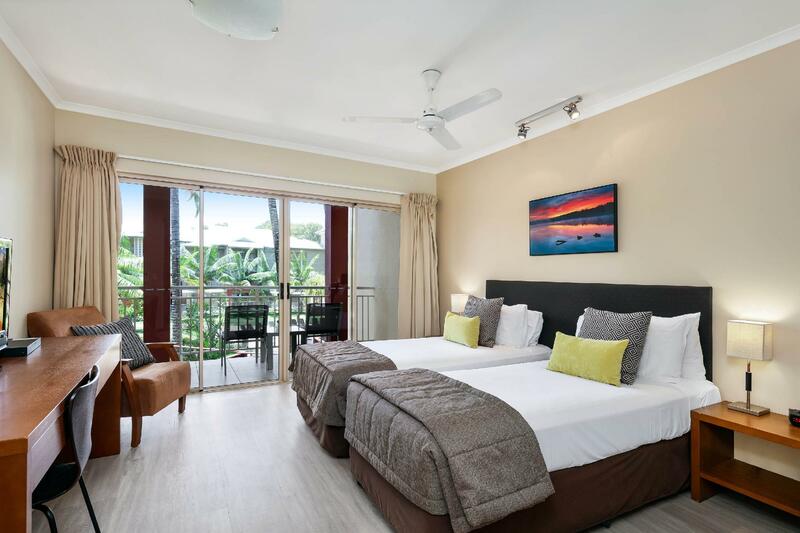 As it was after reception hours they couldn't do anything about the bed situation, so I felt extremely let down, especially as I'd had a great experience at Mantra in Airlie Beach just 2 nights prior. The bathroom floor also had a number of long black hairs, meaning the floors hadn't been cleaned too well. Reception did apologize in the morning as the housekeeping notes did say king bed, but unfortunately as it was only a one night stay, I wouldn't be quick to come back here. Nice clean hotel that overlooks a beautiful pool and gardens. The only thing I was disappointed in was the lack of signage where reception is located. Reception is located at the rear of the hotel that requires one to travel down two streets to gain access to the rear of the hotel. However, for travellers that are not familiar with the area more signage is recommended. 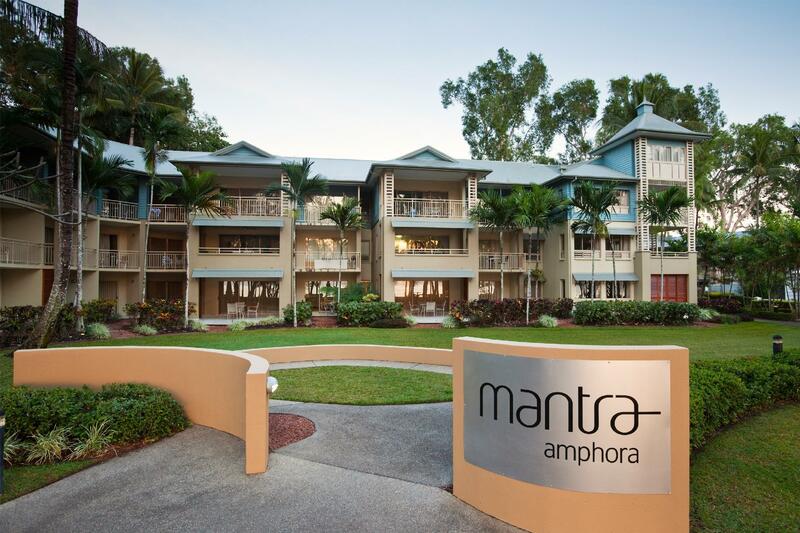 I will return to Mantra Amphora Hotel. Palm Cove is such a gorgeous place, it's hard to go wrong. 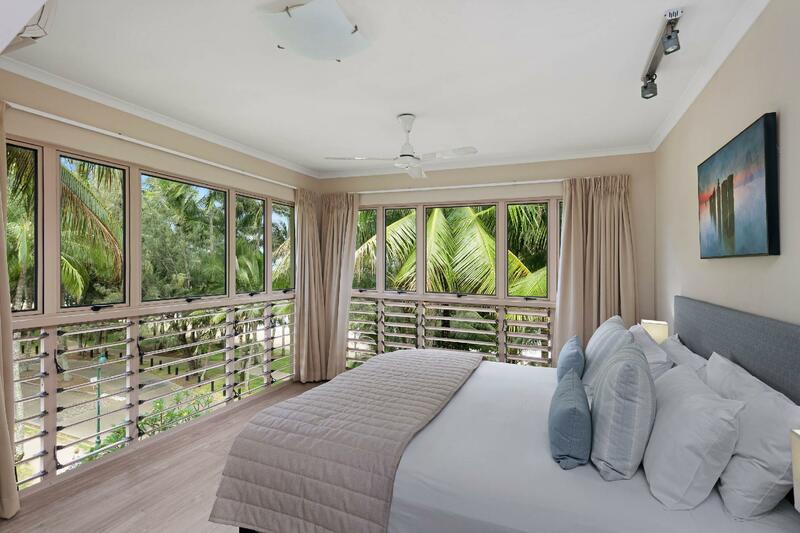 Warm ocean breezes, lots of winter sunshine, palm trees, in a relaxed and little upmarket vibe. The Mantra is a large resort built around a brilliant pool (especially if you have young children). The apartment room we had was large and comfortable. The downside is that Mantra seem a little stingy with no room service or cleaning for a week. Super thin toilet paper You have to ask for towels, and they leave you to put up your own cot. We had a top floor room with lots of walking up stairs and it took a while to work out how to get where on the property. The rooms at the front would be great if you could get one. Overall we had a fabulous time here. Will definitely stay again, had everything we needed. 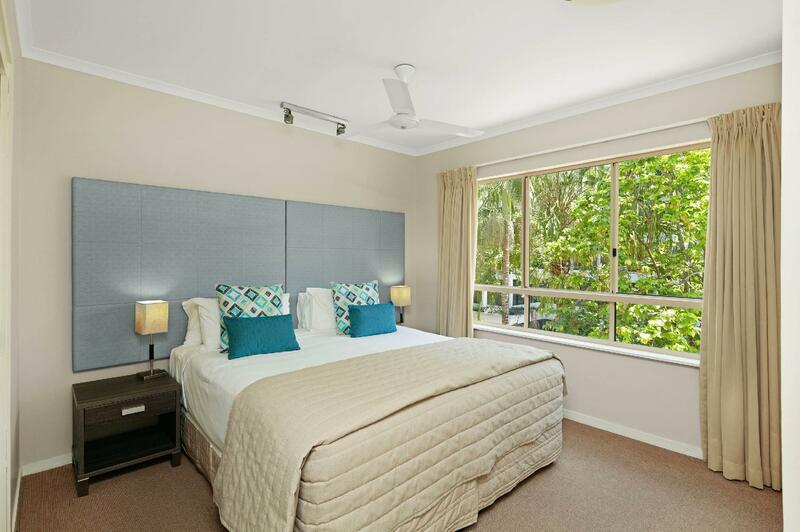 Can't beat the location on the main street of palm cove, a few steps from the beach. The room was clean, the bed comfortable, view of the pool was lovely. There was a spa/bathtub in the room, a balcony, quiet airconditioner and the furniture was tasteful and modern. Also appreciated the great selection of quality teas and coffee that were complimentary in the mini bar! big big big room! good good good environment! nice view! nice pool! car park is very large and very easy to assess the room, nice view, great room, lovely pool. very enjoy out stay here. we love it and will recommend it to friends. we think we will stay here again in the future. 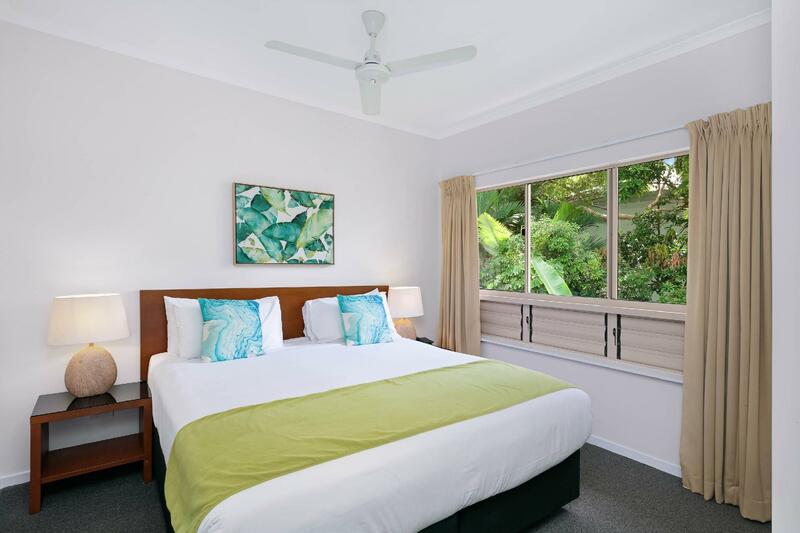 Great location only 30 minutes from Cairns airport. 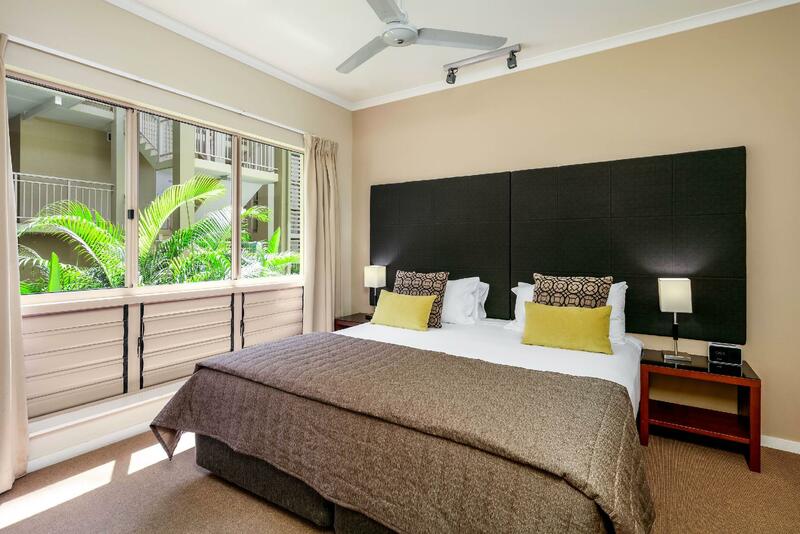 Palm Cove has a lovely relaxing feel with some nice cafés and restaurants. Our 2 bedroom Mantra accommodation was spacious. We liked the large pool. 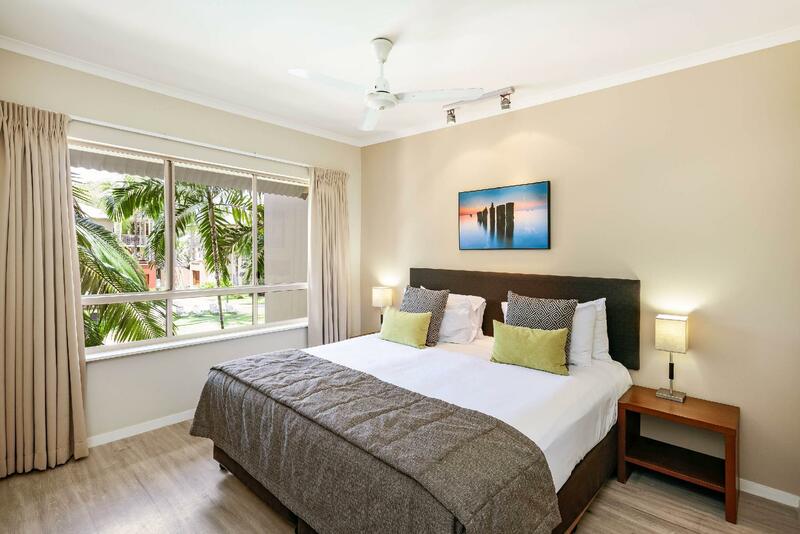 Overall, we really enjoyed the Mantra and would definitely recommend the accommodation in Palm Cove. It was one of the noisiest places we have stayed on our travels. It isn't really a Hotel and definitely not a Resort, it is an Apartment Block with all the Apartments placed around a fairly nice pool area. There is absolutely no privacy unless you go inside your room and pull the curtains shut. They let any man & his Dog inside the grounds to use the Pool, which makes it even more noisier, more crowded with no place for paying guests to sit! They do not offer any services at all...Apartments are not serviced unless you are there for at least 8 nights, there isn't a Bar, no Restaurant, no activities....NADA! We would not recommend this 'Hotel' to anybody other than families with children under the age of 8! Such a wonderful hotel! Really clean and new. It was right across the street from the beach. The concierge helped us book a taxi on our departure. When we left at 6:30am I realized I locked my phone in the room and the reception was closed. They had a phone on the outside of the reception and I told the lady that I left my phone and she called the manager who came out within 5 minutes to let me back inside. Such wonderful service!!! It was a wonderful stay. Nice view of the pool and really close proximity to the beach. Had lots of great restaurants around but what we loved was visiting the ice cream shops in the evening after dinner. Has a bus that goes to Cains city in about an hour but we decided to rent a car so we could visit the waterfalls and rainforests. However, I found it strange that there was no room service or house keeping. One of the luxuries of going on a holiday is that you don't have to do anything! It kind of sucked that I had to make my bed each morning, get my towels changed over at reception and to get more necessities like sugar and salt.. what disappointment me was the lack of cleanliness in the kitchenette. Pans and glass wear were a bit disgusting but what's worse was that the washing machine reeked!! Our stay was very enjoyable except for the lack of privacy in our unit. There were only sheer curtains on main balcony window and diners at the restaurant and passers by looked directly into the unit. Not so bad during the day but at night with the lights on, no privacy unless you turned lights out!! That was the only negative because the location was perfect and the grounds were immaculately kept. Some great restaurants to be found along the waterfront and a fantastic deli just around the corner from the Resort. Need a relaxing holiday, this is the place to be. We really enjoyed our stay...we were upgraded to an ocean view room. Much appreciated. Perfect location. Good sized rooms. Nice pool. Exceptional staff... Amazing resturants within a stones throw.